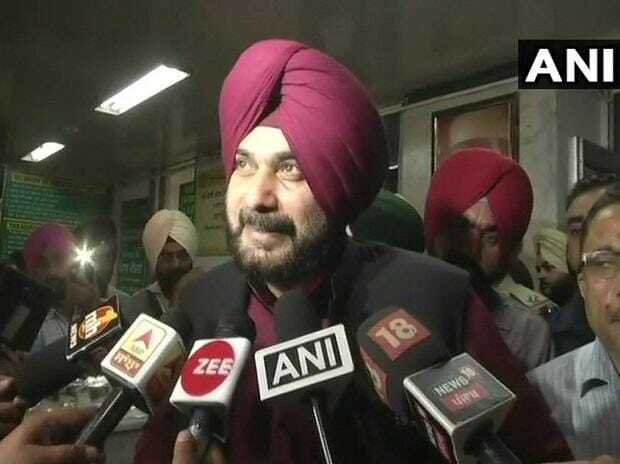 The Federation of Western India Cine Employees (FWICE) has called for ban on cricketer-turned-politician Navjot Singh Sidhu over his controversial comments in the wake of the Pulwama terror attack. Sidhu, who appears on "The Kapil Sharma Show", had condemned the incident but courted a controversy when he asked whether an entire nation can be blamed for a handful of people. He was among the invitees for the swearing-in ceremony of Imran Khan as Pakistan prime minister last year. The Punjab cabinet minister's comments sparked an uproar on social media, with many people asking for his removal from "The Kapil Sharma Show". In a statement sent to Sony Entertainment Television on Saturday, FWICE said Sidhu should apologise for his comments that have "not only disturbed the sentiments of the nation, but also have been taken as of an anti-Indian nature". "In social and national interest, on behalf of five lakh workers of the FWICE, we request you to kindly ban him from 'The Kapil Sharma Show' until he submits his unconditional apology to the nation and martyrs, who sacrificed their lives while on duty for the nation," the statement said. "We look forward to your understanding and support for the same. We would also like to inform you further that until he apologies personally, none of our members shall be working on the sets of your shows and that the production house and your channel shall be sole responsible for the entire cost and consequences due to this non co-operation by our members," it added. There have been reports of Sidhu being sacked by the channel from "The Kapil Sharma Show", but there is no official confirmation. The reports claimed that actor Archana Puran Singh, who has been a judge on few comedy shows, has replaced Sidhu. The actor, however, has rubbished the reports. "No one has offered me the show saying I would be replacing Mr Sidhu. There is no truth of me replacing him. I have not got any call from the channel and the team. No one has contacted me yet," Singh told PTI. "I did shoot for the show on February 9 and 13, but that's it," she added.